So what is the difference between yoga trapeze and aerial yoga? I am constantly being asked this question so thought for my first blog I would try and explain what is the difference between yoga trapeze and aerial yoga? I am constantly being asked this question so thought for my first blog I would try and explain what is the difference between yoga trapeze and aerial yoga? traction, back and core strengthening, and flexibility. Using your own body weight is the most effective and safe way to use traction. Strengthening your core will in turn protect your back from injury, while strengthening your spine itself will help prevent future injury. The more flexible you are, the more able you are to avoid injury. 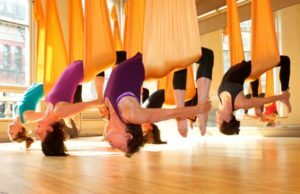 Aerial Yoga is a practice inspired by the study of movement. It has elements of fun, yoga, dance and circus. The Aerial Yoga Hammock is made from a specific type of synthetic fabric, that is both soft and durable. The Hammock is hung from the ceiling, ending close to the floor which enables you to aid or add difficulty to certain yoga poses, while also being able to explore acrobatic movement in the air. 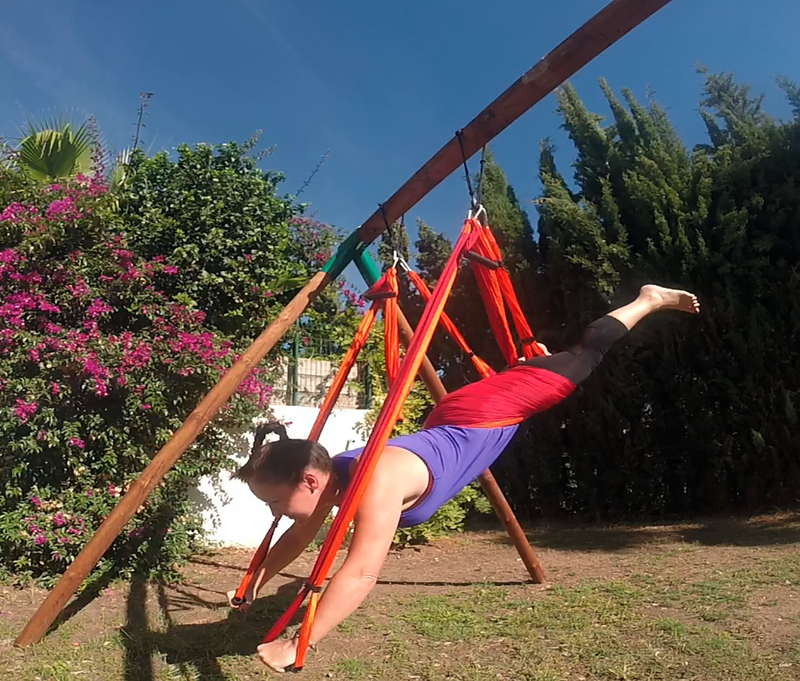 The Yoga trapeze is very similar to aerial yoga, in the fact that it is a suspension yoga system which allows you to deep en your backbends but the Yoga trapeze allows you to perform exercises using “pull” motions for building upper body and core strength using the 3 handles on each side of the sling. Think TRX and aerial yoga fusion! . For functional strength, you really need to PUSH, PULL, and HOLD. The yoga trapeze was originally designed to be used at home, however Yogabody realised there was a demand for group classes so this year trained the first intake of certified Yoga trapeze instructors enabling group classes to now be taught all over the world.